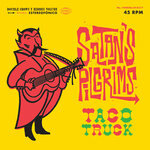 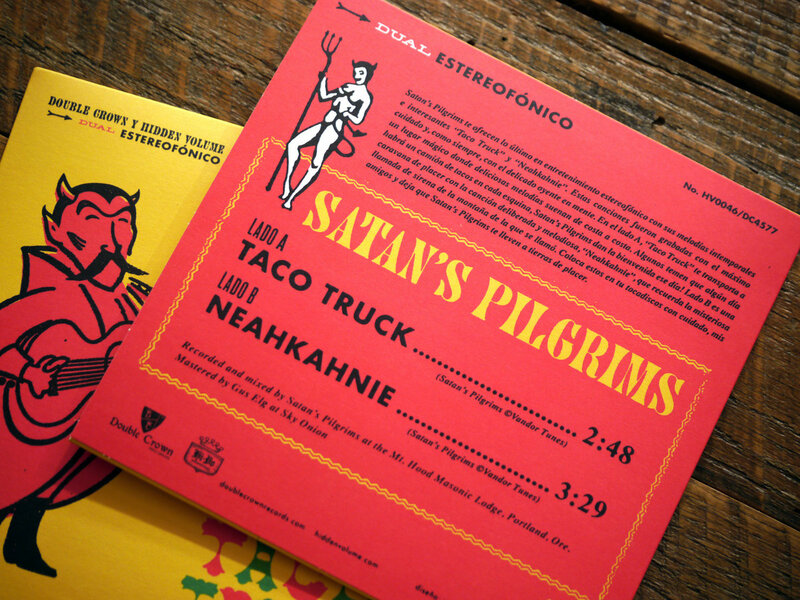 THIS IS THE BLACK VERSION: Satan’s Pilgrims bring you the latest in stereophonic entertainment with their timeless and engaging surf instrumentals “Taco Truck” and “Neahkahnie.” On the A-Side, “Taco Truck” transports the listener to a magical place where delicious melodies reverberate from Venice Beach to Cape Cod. 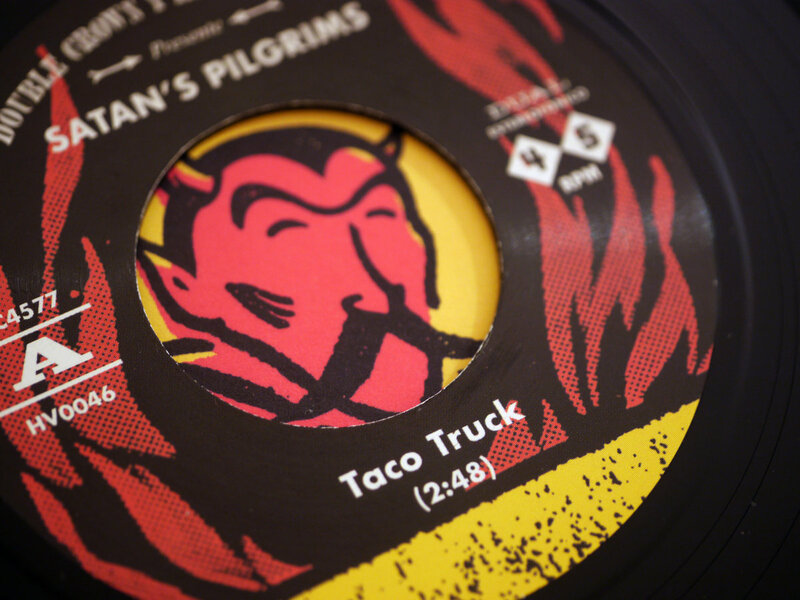 Some fear one day there will be a taco truck on every corner, Satan’s Pilgrims welcome that day! 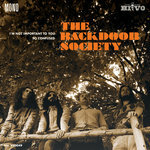 The B-Side is a caravan of pleasure with the deliberate and mellow song, “Neahkahnie”—bringing to mind the mysterious siren call of the mountain from which it was named. 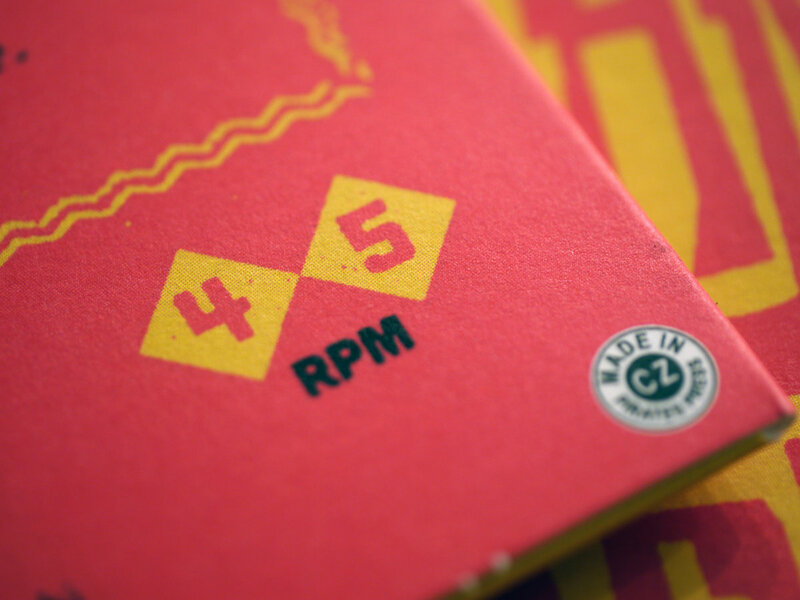 One part Jorgen Ingmann, one part triple-sec, one part fun! 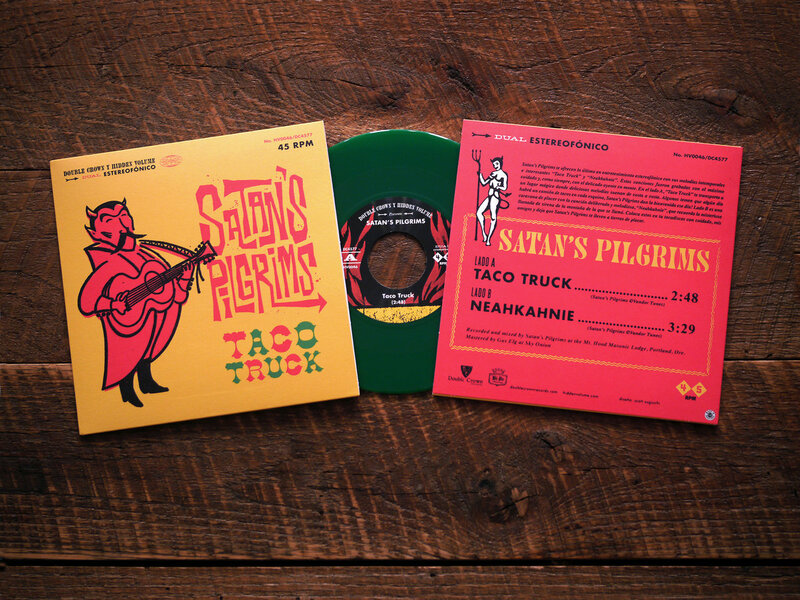 THIS IS THE GREEN VINYL VERSION: Satan’s Pilgrims bring you the latest in stereophonic entertainment with their timeless and engaging surf instrumentals “Taco Truck” and “Neahkahnie.” On the A-Side, “Taco Truck” transports the listener to a magical place where delicious melodies reverberate from Venice Beach to Cape Cod. 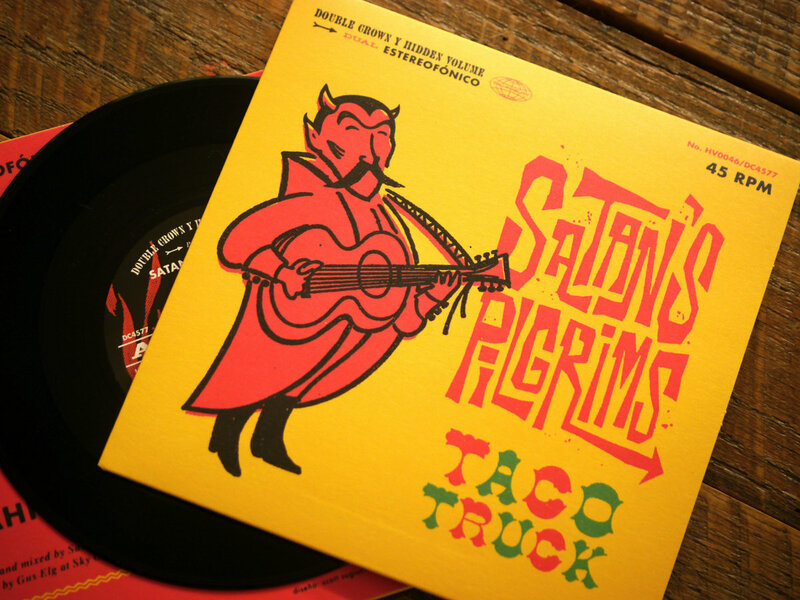 Some fear one day there will be a taco truck on every corner, Satan’s Pilgrims welcome that day! 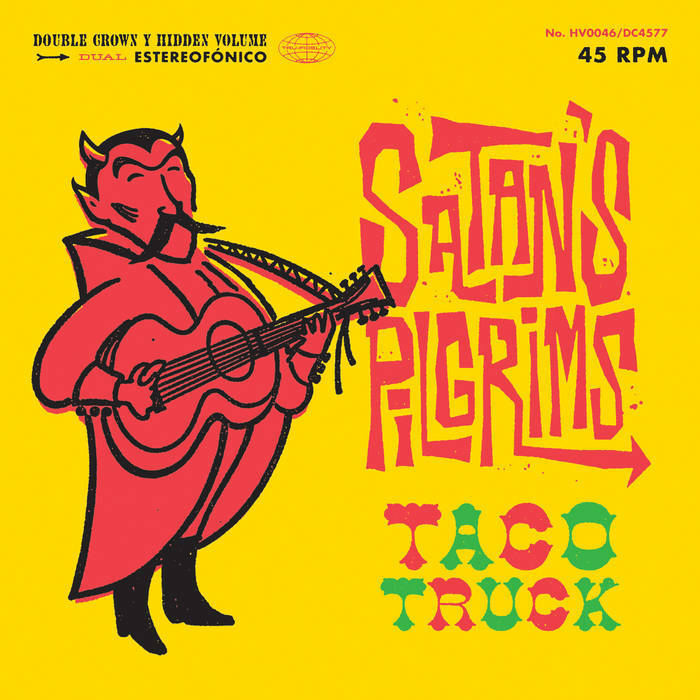 The B-Side is a caravan of pleasure with the deliberate and mellow song, “Neahkahnie”—bringing to mind the mysterious siren call of the mountain from which it was named. 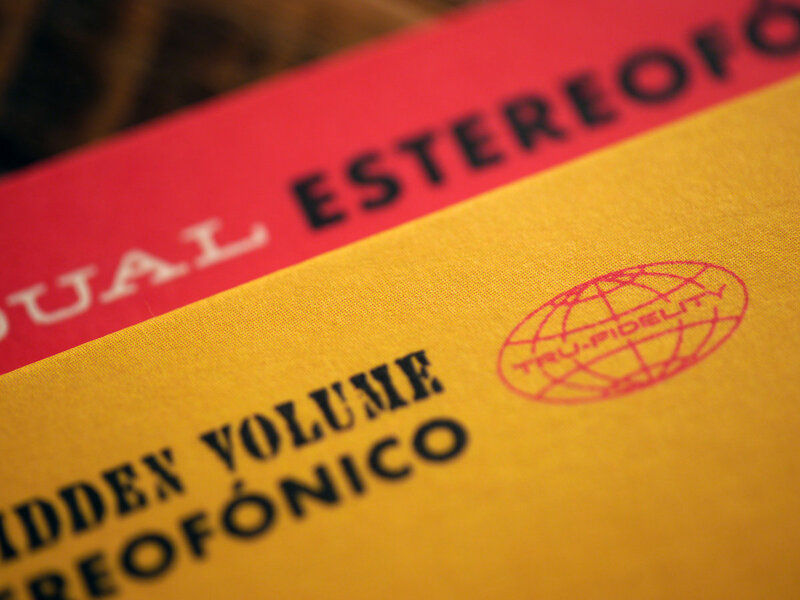 One part Jorgen Ingmann, one part triple-sec, one part fun! 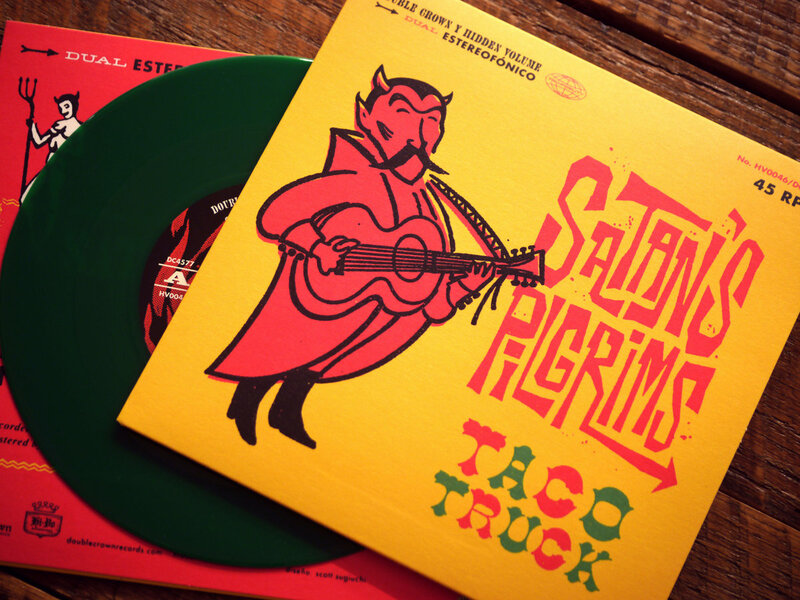 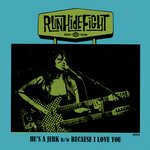 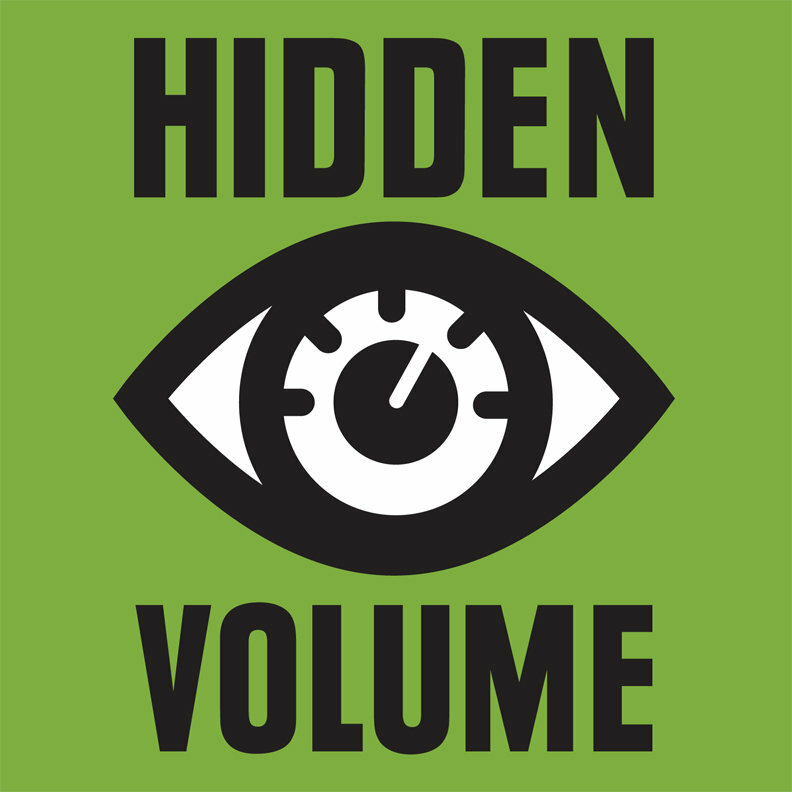 This record is a co-release between legendary surf and garage label, Double Crown Records and your favorite Baltimore-based vinyl schlubs (uh, that's us) as well as the first of two singles the band has released in nearly 20 years. 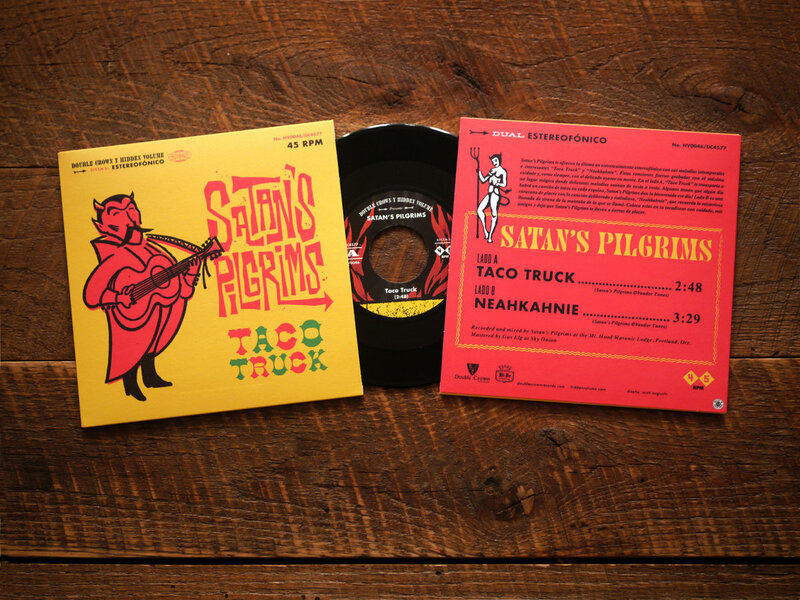 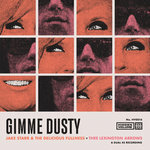 Recorded and mixed by Satan’s Pilgrims at the Mt. Hood Masonic Lodge, Portland, Ore., mastered by Gus Elg at Sky Onion.